April is Autism Awareness month with April 2nd designated as Worldwide Autism Awareness Day. While awareness is important, acceptance and inclusion of autistic individuals is also desperately needed. It’s also needed 12 months and 365 days a year. 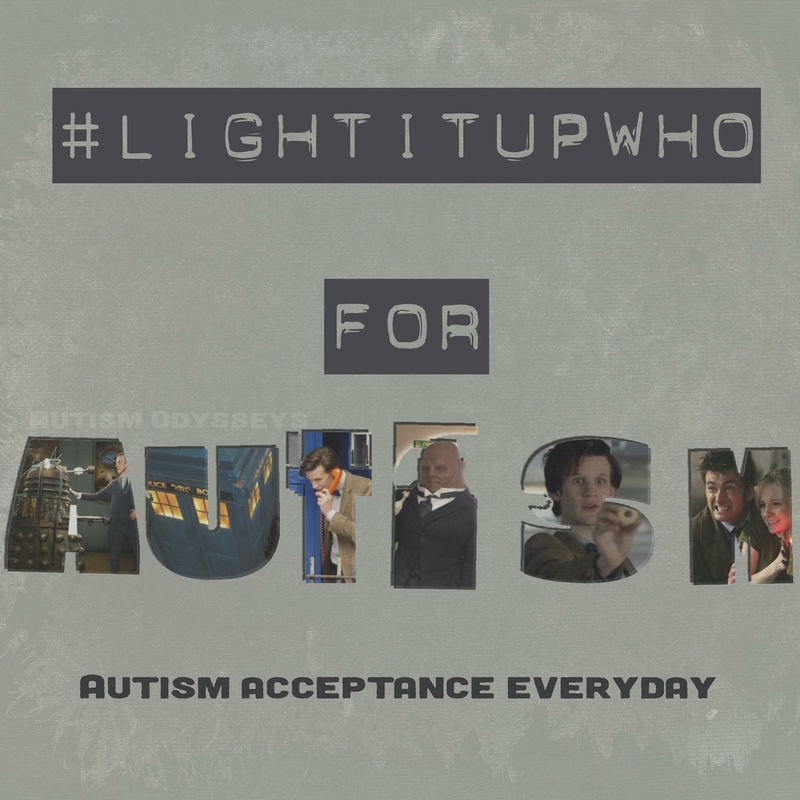 To commemorate the need for a year long campaign, the #LightItUpWho hashtag was created to keep the momentum going beyond April. Here are some examples of graphics I have created for Autism Odysseys on Facebook under the #lightitupwho hashtag. Exterminate stereotypes – applicable to everyone really! 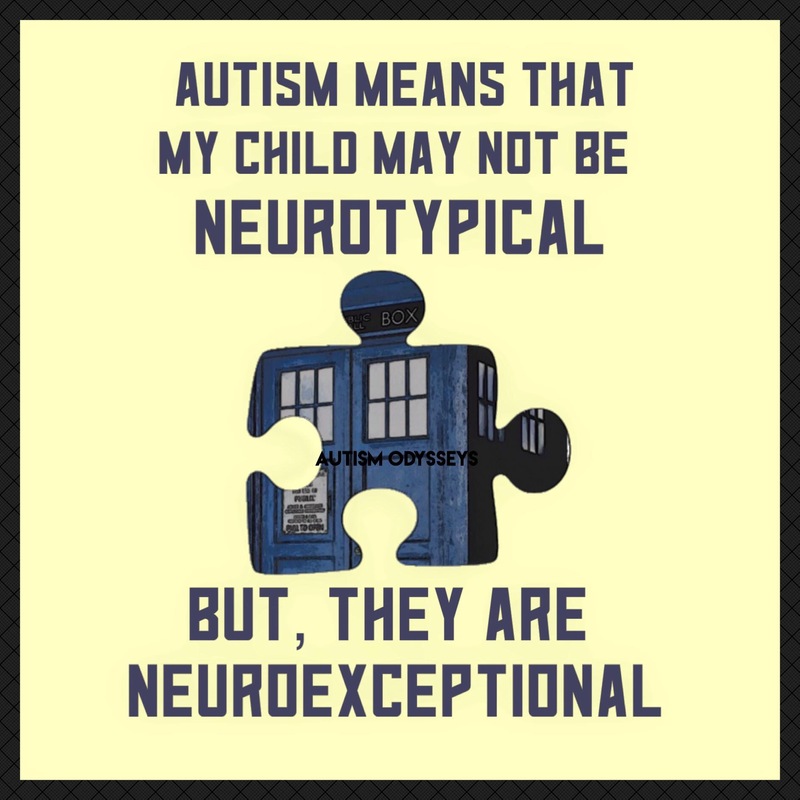 Autism awareness and acceptance beyond time and space via the Tardis. 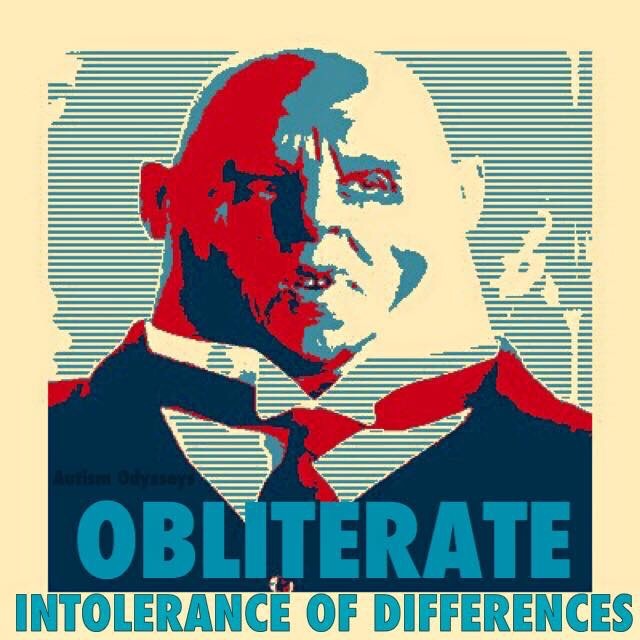 My favorite character, Strax with a “hopeful” message to obliterate intolerance of differences. The Tardis for acceptance throughout the remainder of April and the rest of the year. Autism acceptance, inclusion and understanding is the desired outcome of awareness. Spread your wings for awareness and acceptance. Anything is possible – do not make the mistake of underestimating people. They aren’t neurotypical, but they are neuroexceptional! If you are on Facebook, search #lightitupwho to find more memes from other great pages!